Love these tires,bought them in nov 09 and havent had a flat since!Smooth ride,look great,no flats ,really not much else to say. Bang for the buck, you can’t go wrong! Love ’em!!! Have been riding these tires for years and they are hard to beat for the money. After more than 10 pairs I have flatted just once. I have spent more on tires, but these are the tires I measure all others by. 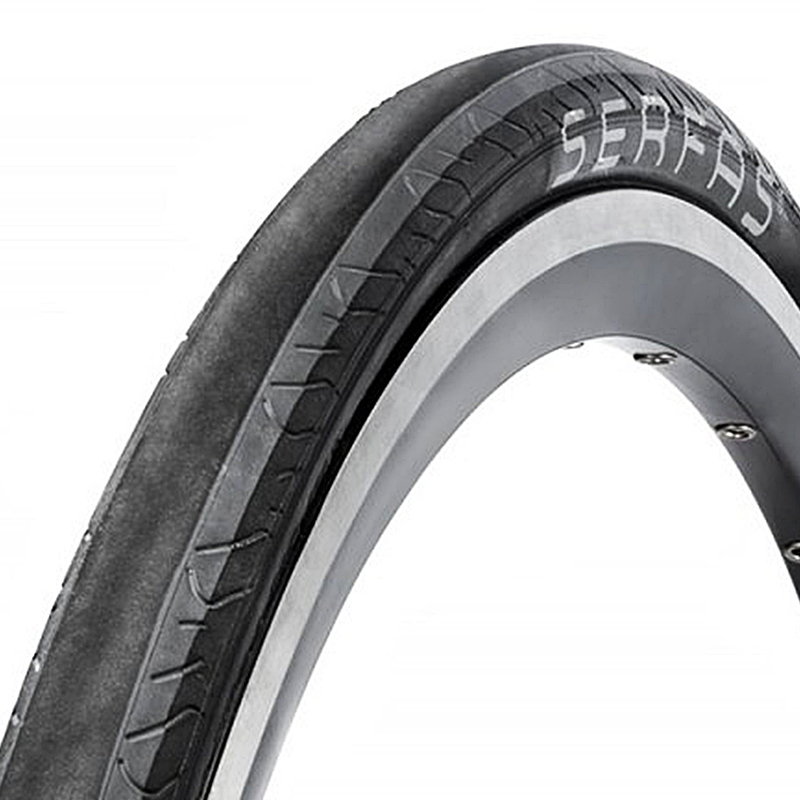 I have a set of these tires on two of my bikes and they ride great. 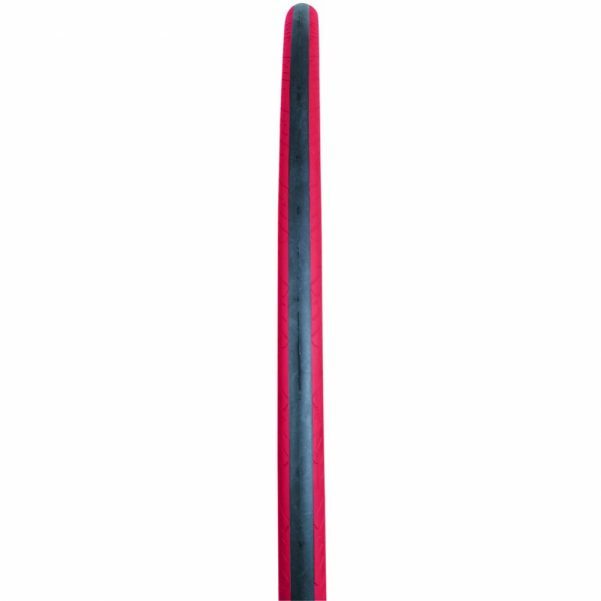 Have’nt had any problems with them and I even use them on my trainer. These are a great value. Much better than I expected. They ride lighter than the claimed weight of 295g, yet even at 130 psi the ride is not harsh. A very small, narrow footprint fully inflated. The most amazing things is the price – these cost me half of what i usually pay, yet they’re the best ride yet. The Michelins they replaced were trashed at about 1200 miles and rode much heavier although the on those was 265 g each. Very pleased with this purchase, I recommend them for the ride and the value. Just put two grey ones on. Mounted easily. Low cost–$26 each. Large print logo looks like a child scribbled on them with a white marker–somewhat annoying, but the tires ride great. They stick well in turns and roll hard. If they wear well, I will learn to love the logo. Very disappointed with these tires. I got two with my brand new Gary Fisher road bike in April and proceeded to get 8 flats in the first 4 months. I don’t know if the tire(s) became irreparably damaged by numerous nicks and cuts, but I’m sure the high PSI made the holes open up more and made the tires more vulnerable to punctures. I do ride a lot (aound 15 mi/day). Great tire! Very sticky yet fast. Really lets your feel the road under you. I have had this tire on for about 500+/- miles front and rear. I ride a lot of roads that have debris on them and haven’t had any problems. I had these put on when I picked up my new Jamis road bike (it came with cheap white tires, I didn’t like the look) I have about 160 miles on them and love them. They are sticky an will pick up some loose sand and road junk but I’ve not had any flats or other tire related issues. 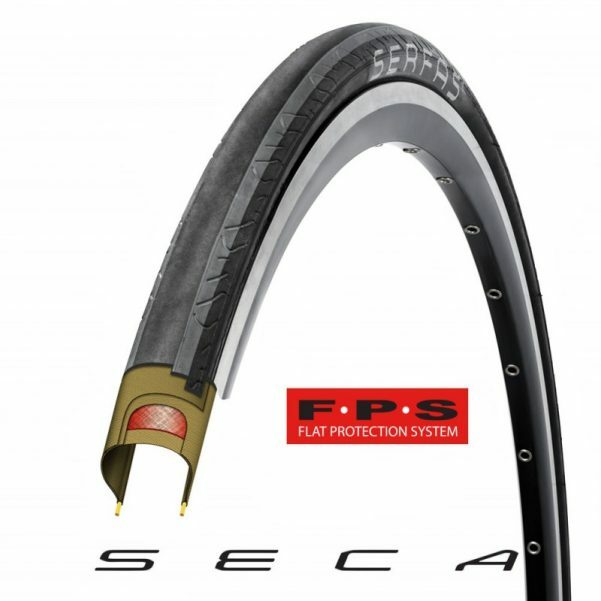 Another great product from Serfas. These wear fast, I will get maybe 750 miles out of the rear. At the price though I will class as good value. I will buy another. My roads are crushed flint rock and tar, called chip and seal, and that eats tires. The flint flakes are sharp. I have only had 2 flats, and I check for imbedded flint flakes at every stop, no matter what brand, they will flat anything. The big problem is the softer gray rubber on the sides will catch and hold the flint, and they can work thru right at the edge of the flat protection strip, both my flats were from that. I will just keep a spare tire at home for when they wear out. They are a good value for the cost. These tires are great training for alleycat races. They come in multi colors are awesome too. Customizing a ride is key, plus they’re smooth. My only problem was they flat spotted easy and wear quick. Since I only use them in training they do me wonders defiantly get some more down the road. The red ones caught my eye.